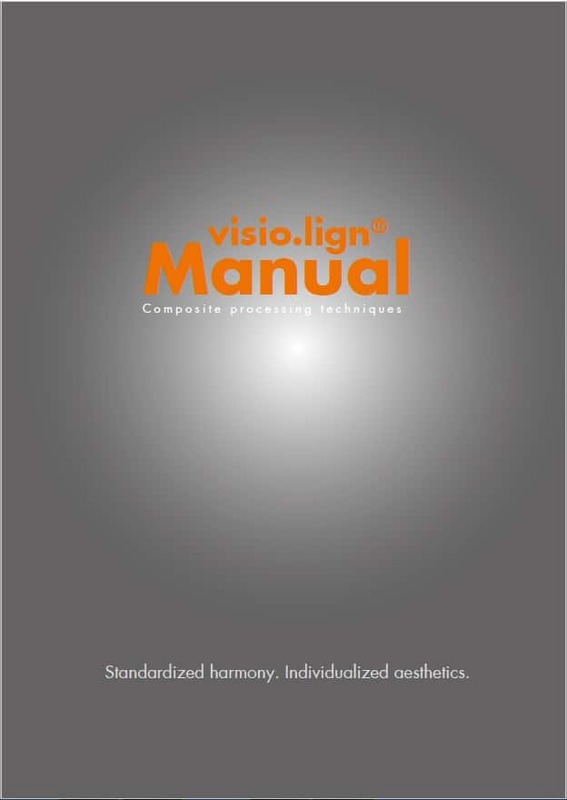 crea.lign veneering composite for permanent veneering of metal, ceramic and polymer substructures. The exceptional material properties adapt elasticity and hardness of crea.lign to the various substructure materials. crea.lign contains only nano particles and no ground glass filler. It consists of 50 % opalescent ceramic filler and a high-strength oligomer matrix. 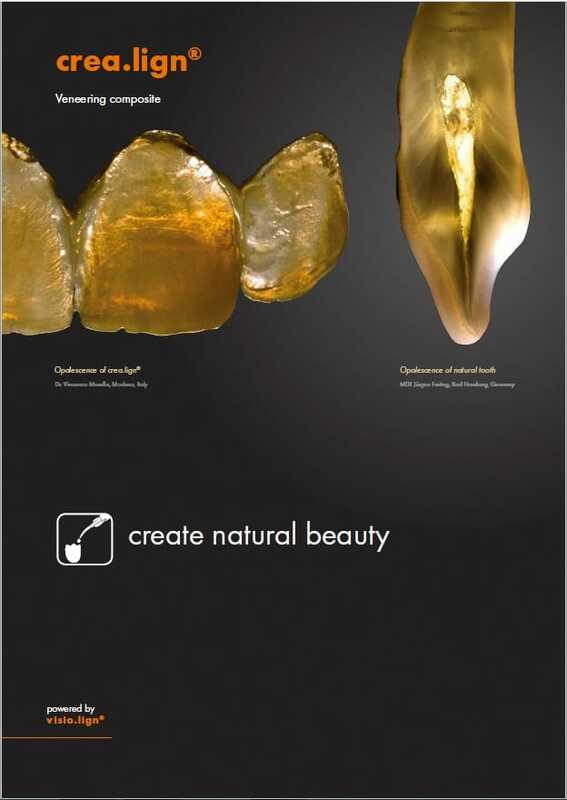 The crea.lign veneering composite is available as a gel and a paste. 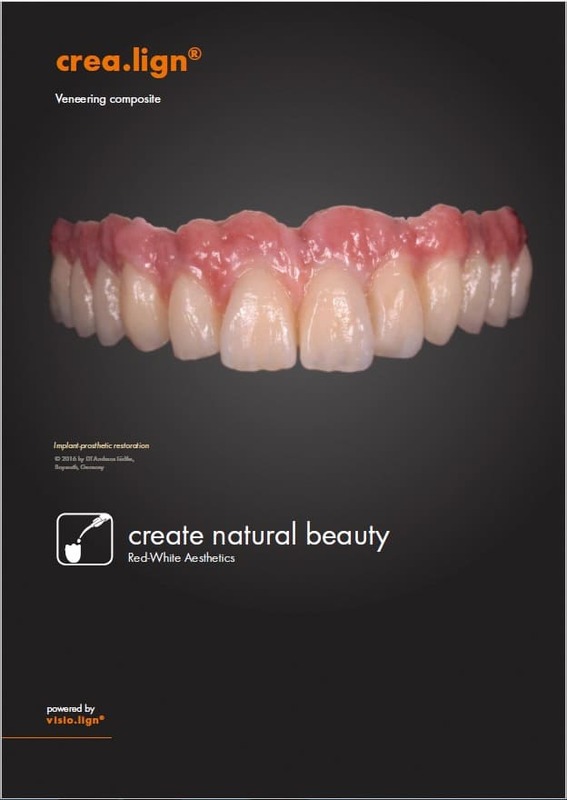 crea.lign dentine is available in the classic A–D dentine shades and BL3 bleached shade. crea.lign transpa clear is the crystal clear variant of the crea.lign composite with outstanding physical properties and optimal bonding to BioHPP material. Due to its light transmission, crea.lign transpa, in conjunction with the visio.paint stains, enables highly aesthetic translucent characterisation – the perfect composite facing material to meet even the toughest requirements. Alongside the crea.lign enamel materials (E1/E2/E3/E4) crea.lign incisal (opal/blue/pink and universal) can be used for specific accentuation of the insical area, e.g. to create a more youthful looking incisor. crea.lign GUM (light/rosa/pink/red/lila) are used for customising sections of gingiva, giving the denture a more vibrant appearance.  crea.lign modifiers (beige/olive/caramel/umbra and lila) are intensively coloured materials, for example, to accentuate the neck region of a tooth or replicate decalcification stains. 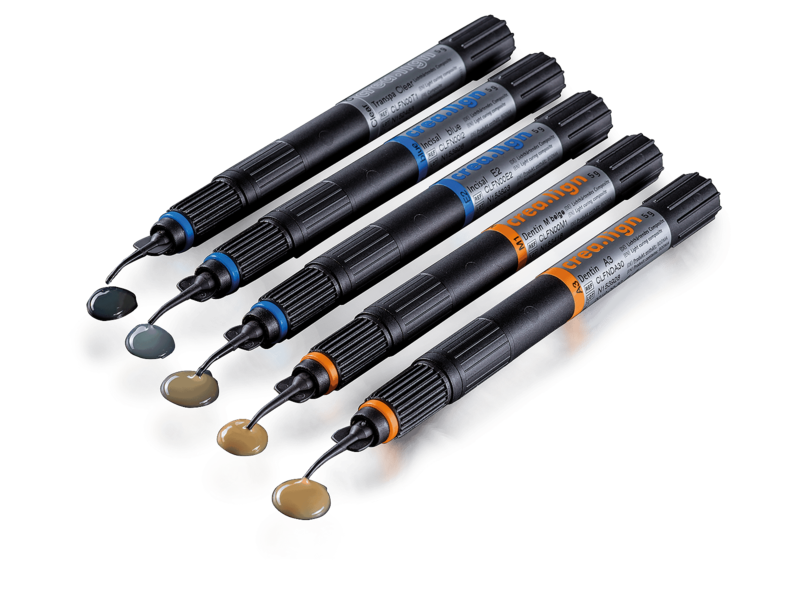 crea.lign stains (brown/orange) are light-curing intensive materials and are used for colour customisation of composite veneers. crea.lign stains must not be coated; they are used to emphasise, for example, proximal spaces, incisal edges and fissures. 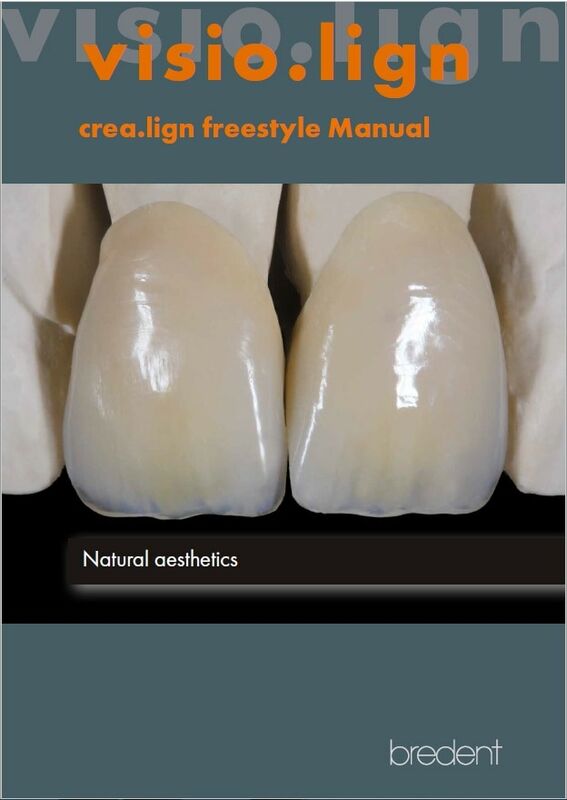 The crea.lign dentine paste is the paste variant of the crea.lign composite. 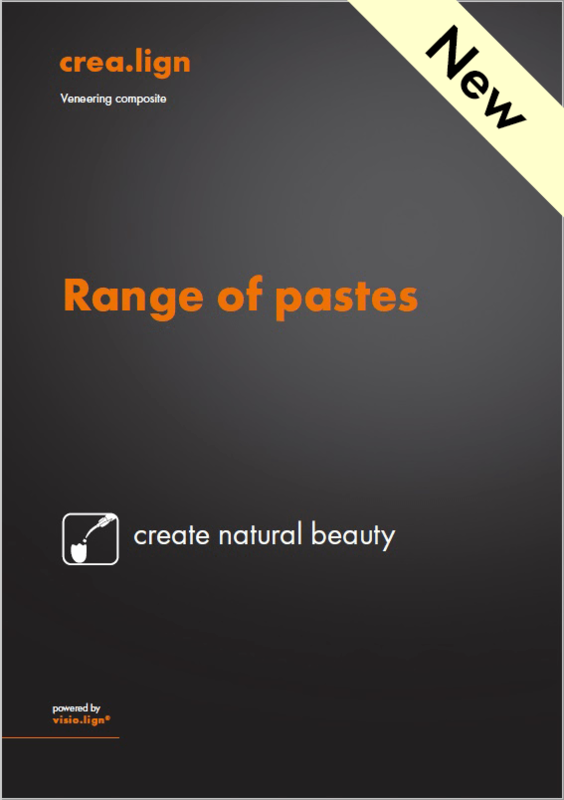 The crea.lign paste likewise only uses nano-ceramic fillers (does not contain dental glass), features outstanding polishing properties and can be processed without difficulty in combination with all other crea.lign materials. crea.lign paste is available in the classic A–D dentine shades and BL3 bleached shade. crea.lign GUM (PL light and PO opaque) are used for customising sections of gingiva, giving the denture a more vibrant appearance. Alongside the crea.lign enamel materials (E1, E2, E3 and E4) can be used for specific accentuation of the insical area, e.g. to create a more youthful looking incisor. crea.lign transpa opal is the crystal clear variant of the crea.lign composite with outstanding physical properties and optimal bonding to BioHPP material. Due to its light transmission, crea.lign transpa, in conjunction with the visio.paint stains, enables highly aesthetic translucent characterisation – the perfect composite facing material to meet even the toughest requirements. The light-curing crea.lign opaquer provides shade reliability in the freestyling layer and when using novo.lign veneers. Together with the MKZ Primer, it forms the basis for optimum bonding with metallic and ceramic framework materials and therefore for long-lasting prosthetic restorations without marginal gaps. All shades of the classic A–D system are covered by just eight opaquers. A special zirconium liner and GUM opaquer are also included. 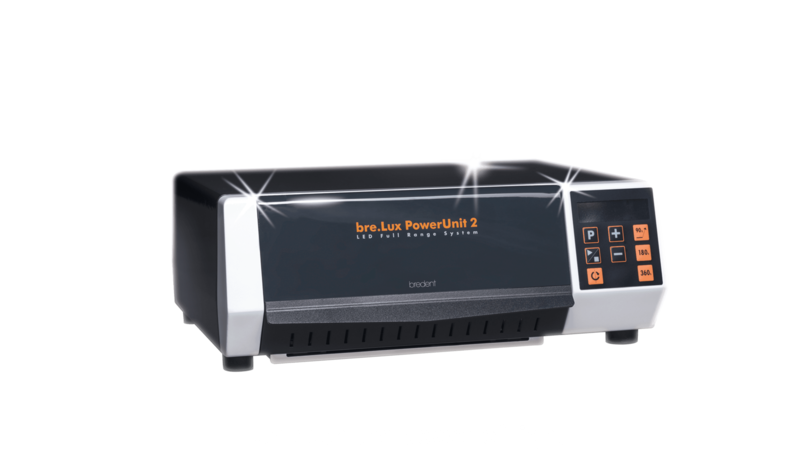 The light-curing zirconium liner is a transparent opaquer. When using zirconium it is essential to apply zirconium liner after applying the appropriate primer (MKZ Primer) to achieve reliable bonding of zirconium oxide and composite. The shade of coloured zirconium frameworks “shows” through and no conventional opaker needs to be applied – provided that the framework shade corresponds to the classic A–D shades! 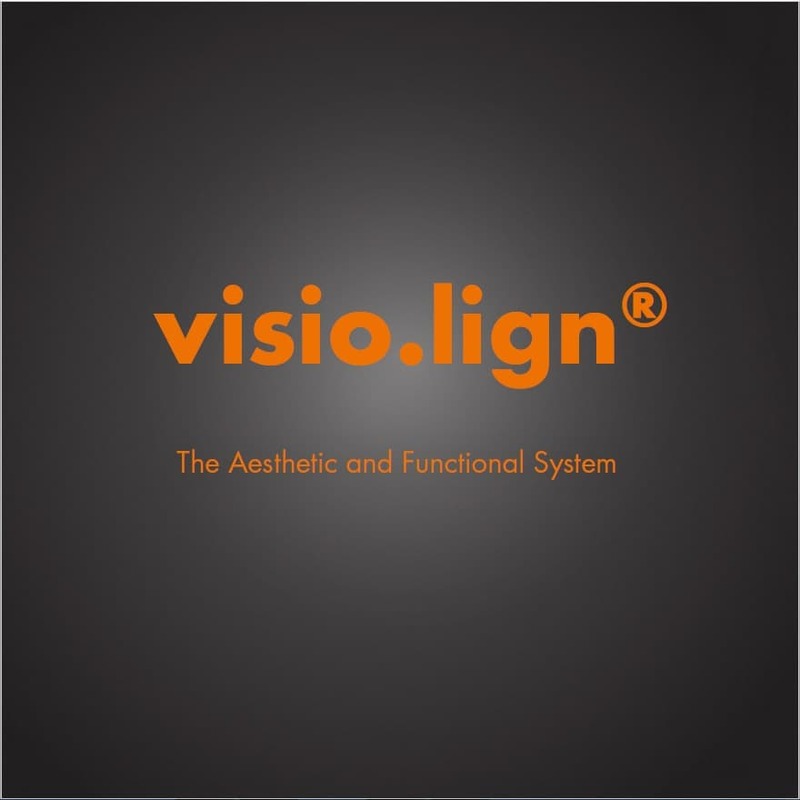 Use the crea.lign GUM materials in the visio.lign system to individualise your dentures to achieve high-end aesthetics. Offer your customers this individualisation service and increase the profitability of your laboratory. Use your dentures to improve the reputation of your laboratory.  The focus in the development was on ease of use and a particularly large capacity. The drawer easily accommodates large-size objects, such as flasks. Experience a new level of reliability and speed when polymerizing your objects.  The innovative and new LED technology of bre.Lux 2 covers the entire relevant spectrum of light below 400 nm and hence enables a new quality of polymerization. 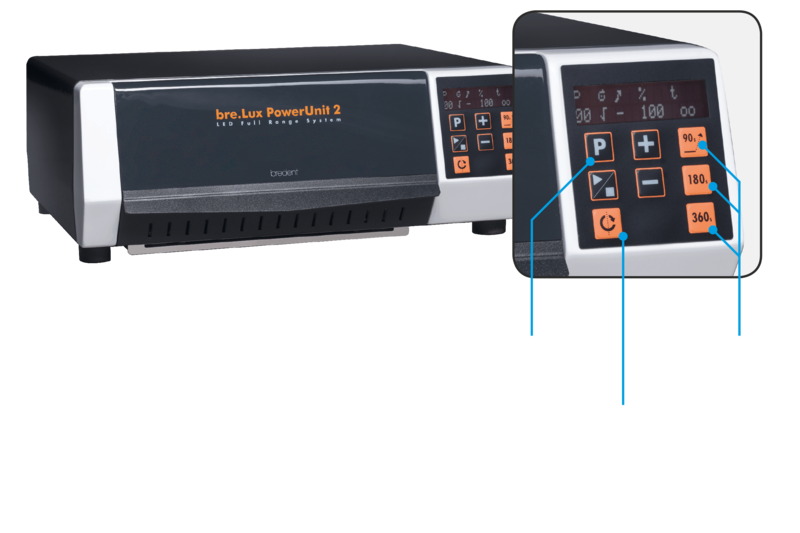 It offers the user more consistent and faster curing since different wavelengths can reach different depths. Increase your reliability and reduce your polymerization times. Convenient, activatable, removable – this rotary plate guarantees that the object is evenly illuminated by the 72 LED lights from all sides. As a transparent tray, the Light-Tray transports light to areas that are otherwise inaccessible. Expose the objects to pure light!  72 LED lamps will give you unsurpassed and highly efficient luminous power to prevent shrinkage in a clever way. Moreover, temperature control of 45°C – 55°C eliminates thermal influences such as overheating and embrittlement of the object. Additionally, the fan is extremely silent. In a highly efficient manner, the 72 LED lights of bre.Lux 2 transform the power input into light energy and offer a longer service life than halogen lights (max. 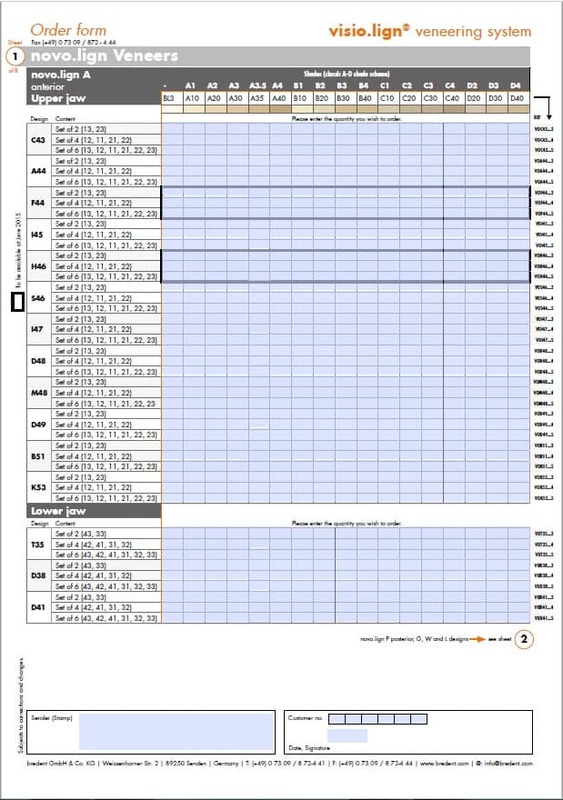 service life of 2,000 hours). 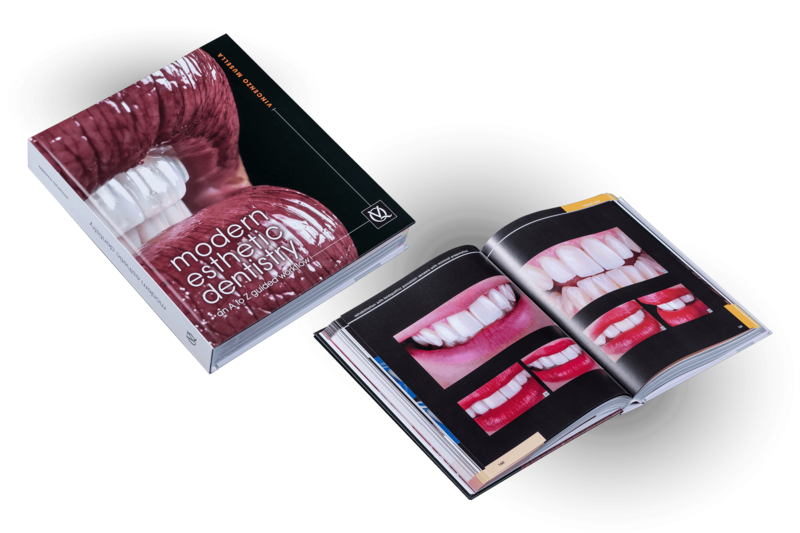 This atlas synthesizes the latest technologic advances in esthetic dentistry and shows how to successfully integrate them into clinical practice. Part I begins with a chapter on dental photography that focuses on the correct settings and use of equipment needed to obtain high-quality images for documentation and communication with patients and the laboratory. Subsequent chapters present the steps involved in the esthetic preview, which provides the opportunity to try out a proposed treatment and make adjustments before undertaking any procedures, increasing patient acceptance and satisfaction. Part II presents clinical cases demonstrating the inverse layering technique for direct and indirect restorations, and Part III features clinical cases showcasing both traditional and alternative uses of lithium disilicate, an advanced restorative material with high esthetic potential and good strength. This is an excellent resource for clinicians looking to incorporate the latest techniques for predictable and stable esthetic results. Dr Musella has been working as a prosthodontist/dental technologist for an extensive period of time and is particulary dedicated to the fabrication of hghly esthetic dental prostheses. Obtaining a bachelo’s degree in dentistry did not put an end to Dr Musella’s passion for prosthodontics, which he continues to practice, using the newest and most relevant technologies. The consistency of crea.lign allows optimal use of the “Inverse Layering” technique since I am able to spread the various materials very precisely. Both the transitions in the finishing stage and polishing can be completed very easily thanks to the materials compactness and homogeneity,which ensures aesthetic, predictable and durable results. 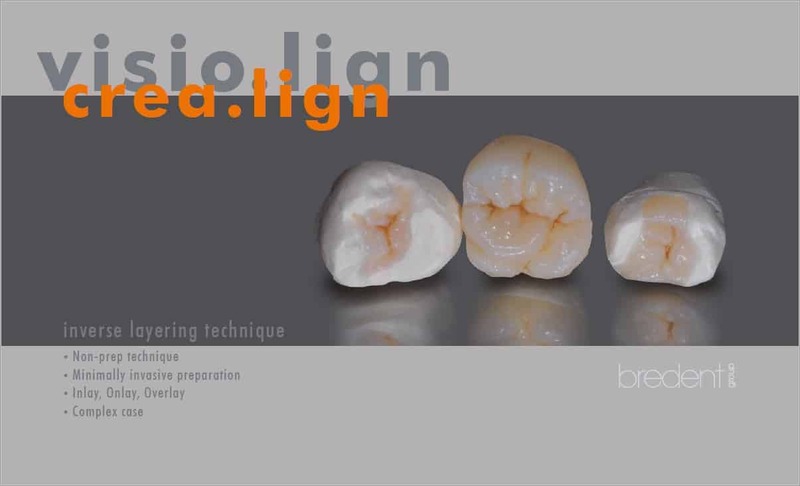 The crea.lign Gel GUM veneering material takes the benefits of substructures made of high-performance polymers to the next level. Feeling in the mouth, appearance and durability are a unique combination. 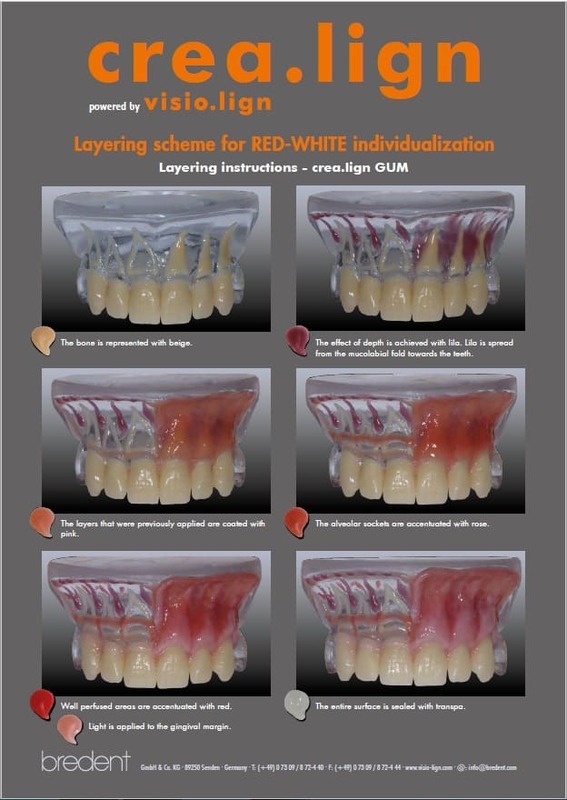 The perfect interaction of the neo.lign denture teeth and the crea.lign veneering composite enables individual, three-dimensional and dynamic layering in red-white aesthetics – for a lasting and harmonious smile of the patient.